Montana Beer Finder: Bigfork's 5th Annual Brewfest Brings New Meaning to "a Frosty Cold One"! Bigfork's 5th Annual Brewfest Brings New Meaning to "a Frosty Cold One"! As I approached the little hamlet of Bigfork, I glanced over at the temperature reading on the dash thermometer of my car. Burrr, 1 degree! This was not good and I was not looking forward to even getting out of my car, let alone spending any length of time out in this weather. I wasn't really sure what to expect, where turnout was concerned, and I was hoping against hope that there would be at least enough people there that the event wouldn't be deemed a flop. I made the turn on to Electric Avenue and got my answer. Cars...and lots of them, lining the the main street of Bigfork. I should have known. 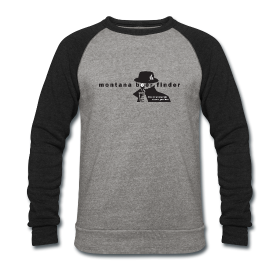 We're Montanans, and if we let the weather stop us from doing things, then we would not get much done around these parts. Because we are hearty Montanans, were not going to let the fact that it was 1 degree above 0 and snowing stop us, the craft beer faithful, from coming out in droves to celebrate Bigfork's annual brewfest Saturday afternoon. I remember the 1st Bigfork Brewfest and how the 3 pitiful little patio fire pits and their sticks of kindling class firewood failed to even come close to keeping us warm. This time we got cauldrons, with lots of manly-sized firewood logs that did a great job at both keeping the cold at bay and adding another level of ambiance to the festive atmosphere. The organizers were also kind enough to erect 2 decent sized tents equipped with a couple of propane heaters to help with the cold too. Also new this year, public transportation! The Flathead Party Bus was hired to make pickups at various locations around the Valley to help get the beer loving masses to this event. Food vendors were also on hand this year and that's always a welcome addition. Amenities at the event, like those just described above, are are examples of the how this event is getting more and more organized with each passing year. If there were to be something I would change about the event, it would be the beer vendors themselves. No offence to Flathead Lake, Tamarack, and Great Northern, which are all great brewing companies, but due to their close proximity to this event, a person can get any one of their fine brews at any watering hole in the Valley...or at the breweries themselves for that matter. 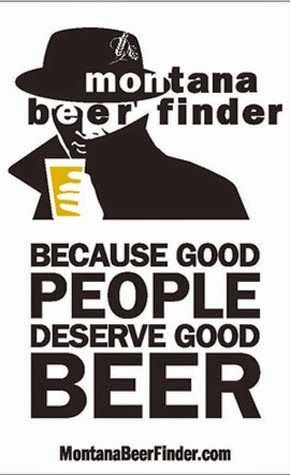 I would like to see more breweries show up that are from out of the area so we, the people of the North Valley, can taste what else is out there. Beer that we don't have much exposure to and therefor rarely get to enjoy. 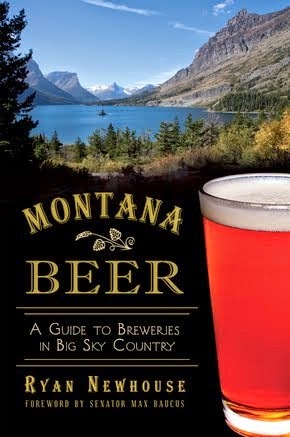 Sure, breweries like Ninkasi, Iron Horse, Wildwood, and Bitter Root were there, but with Montana boasting 40 breweries right now, you would think that the likes of Kettlehouse, Draught Works, Glacier, Bayern, Big Sky, Yellowstone Valley, Bozeman, Blackfoot, Lewis & Clark, and Harvest Moon would have been there too. Madison River and Blacksmith were slated to be there, but were no shows; I can only assume that they didn't make it due to the hazardous road conditions. I was also surprised to see absent from the event, the new upstart breweries, Canyon Creek, Mighty Mo, HA), and Bonsai. 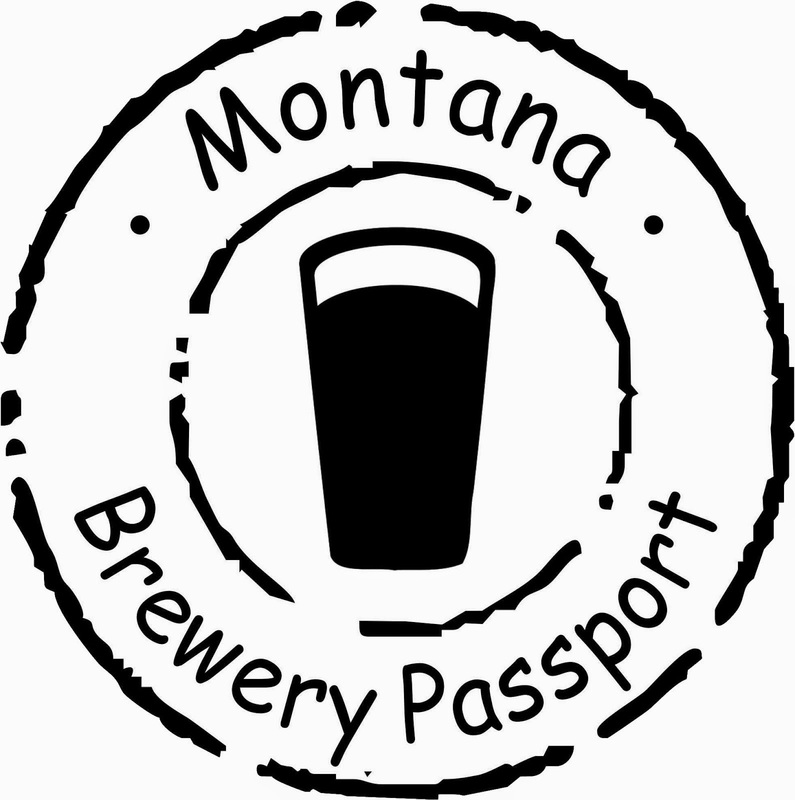 You would think that since they were the newest Montana breweries on the scene that they would want to get some exposure, and what better place to do that than a brewfest? All that aside, the Bigfork Brewfest is still a kick in the pants and I will continue to go, as I have for the past 5 years, because it's just so damn fun! Click on the pics below to make them full screen.